This past week I attended a Software conference in Toronto, Canada and while I was there I had the Opportunity to attend an invitation only Women in Technology Luncheon. When I was sent the invite, I knew nothing about the speaker, Michele Romanow, but the fact that it was a Women in Technology luncheon, I was sold. Little did I know that I would have to the opportunity to hear one of the most powerful women in Canada speak. As some might know, I currently work full-time in the Software Industry while Stacey works our Note Investing business full-time. I too work in our Note Business in the evenings and weekends. The Women in Technology lunch was the 1st annual event in this conference, so I was honored to have the opportunity to attend. Her message was so powerful and intriguing, I wanted to share it. There were several hundred other individuals (mostly women) of all ages and from all over the world in attendance at this Luncheon to hear her talk: “Getting to Success: Embracing What Works.” I am sure some already knew how famous Michele Romanow was which was why there was such an overwhelming attendance at the event. I was soon to find out just what Michele Romanow was all about which is why I have dedicated this week’s email to the luncheon and Michele’s message. Ms. Romanow spoke a little over an hour, but I could have listened to her all day. She was feisty, talked fast, yet passionate and very down to earth for someone whose estimated net worth is around $150 Million at the age of 31! She had such a powerful message which is why I wanted to share it with you. I also found myself listening to the message within the message if you know what I mean. 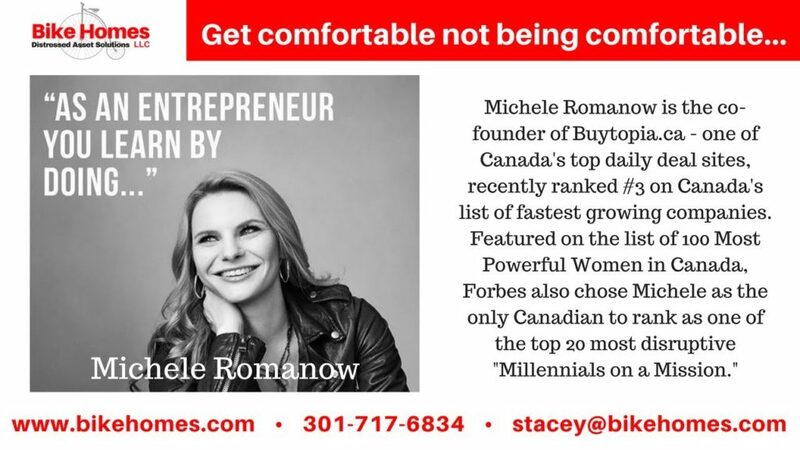 To give you a little background, Michele Romanow is an entrepreneur and at 30 was the youngest person to be on Dragon’s Den – the Canadian version of Shark Tank. In addition, she was voted in as one of the Top 100 Canada’s Most Powerful Women by Women’s Executive Network in 2015, and founded and/or co-founded 5 businesses by age 31 just to name a few. She received a civil engineering degrees along with an MBA from the University of Queens. She began her speech talking about her very first business – a Tea Room, a zero-consumer-waste-coffee shop – on campus in 2006 while still an undergraduate at Queen’s University. She raised about $100,000 to launch this café, one that is still going strong today and is run by the student government at Queen’s. Then she went on to talk about her second venture: Evandale Caviar which she launched at the worst economical time period, but that didn’t stop her. She talked about how there was only one place left in Canada that still had a natural supply of Atlantic sturgeon and in that town only 5 fishermen, all retired, had licenses as they were not handing out any new licenses. She called around until she found out the 5 names and then continued to call every name in the phone book until she found one of the names on the list who was willing to rent her a license. She ended up renting the license for one summer for $500.00. Now she knew that was a bargain, but even though she had the license, she had no fishermen skilled in this type of business, nor did she have the boat she needed in order to catch the fish. So, she continued on her journey to find a fisherman and boat. She continued researching and asking the local people to find out that they should hire a gentlemen named “Ted,” but the problem was Ted didn’t own a boat. Romanow sat for 10 hours outside of Ted’s house waiting on Ted to get home for their first meeting. However, she quickly found out at that meeting that Ted didn’t have a boat, but knew someone who was selling a boat. Using money, they had raised for the business, they bought the boat and took a portion of each fish caught towards Ted buying this boat. While getting the business off the ground, she lived in a hotel, learned how to process fish and make caviar. She would spend every evening calling restaurants all over the world to sell the caviar. She said this business taught her to be “Scrappy – really building something from nothing.” Even though the business closed at the height of the US Stock Market crash due to the world of luxury retail collapsing and new legislation limiting exports, Michele thought it was a huge personal success; one she would probably never do again, but the fact she did it was powerful to her. She said she hates the picture people paint of the successful business, you know the one with the person sitting on the beach, hands out like they are mediating, and come up with the big “WOW” idea. She said instead success is the product of many small iterations and lots of failures. She talked briefly about her next ventures: Buytopia, SnapSaves, and ClearBanc. During the Buytopia venture, she talked about how the launch was a disaster. She wanted to launch at the National Women’s Show and the person they hired to do the website missed the deadline, so literally at the trade show, they had a JPEG picture on the screen with a “buy” button overtop to a PayPal interface. None-the-less, they got their first 3 deals worth 10,000 at the show, and their business was started. SnapSaves was a grocery couponing mobile app where users would take pictures of their receipts and get rebates as opposed to redeeming a coupon in-store. SnapSaves, now called Snap by Groupon, was acquired by the American couponing giant Groupon in 2014. Her most recent venture is Clearbanc which provides financial services for freelancers and non-tradionalists in the United States. 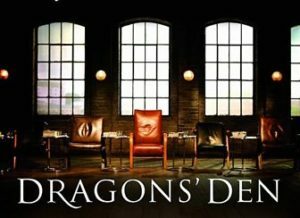 Then she talked about her role on Dragon’s Den. She said on her 4th day of shooting she was actually accused of somehow getting the names and notes on the presenting entrepreneurs on the show because she knew so must about the industries that the people had been presenting. She told them an emphatic ‘No’ but that she had tried to start half of the businesses being pitched herself. She continued on to say that for every business we tried that people might know, there were five that didn’t work. Another asked what she would say to his daughter to which she responded that perhaps she wasn’t the best to give advice since she didn’t have kids, but again the message was to not limit yourself. She felt that girls should know math and metrics to get ahead. She talked about how as a kid, there was no separation of duties among the boys and girls in her house, just work to be done. She learned early on that no task was beneath her. So although this was a great speech, you might be wondering what does this have to do with the note business? Well, I learned from Michele that no business or in our case notes is perfect. You can take a note and still make something of it even if it seems like what you originally thought would happen as an exit strategy does not. There are so many exit strategies in notes, that you will still be successful with a note even if it doesn’t exit the way you thought it would when you bought it. I also learned to just keep pushing! Keep reaching out, keep marketing, and continue “just doing something.” Doing something every day will make a difference. Finally, I took away from her talk that we should get comfortable not being comfortable: if a note deal is a good one, it will find the money. We should not be afraid to buy a note even if we don’t currently have the funds. I hope you enjoyed reading about my adventure at the Women in Technology luncheon with guest speaker, Michelle Romanow. I encourage you to do what Bike Homes did and just get started; whether it is buying your first note, or joining us as a Joint Venture partner. We help people earn potentially double digit returns on their investments by investing in distressed assets – promissory notes backed by real estate. If you would like to learn more about how you can make your IRA or other investment capital work better for you, please drop us a line at Stacey@bikehomes.com, visit our website at www.bikehomes.com, or connect with us on one of our social media accounts.